You know what it's like, growing family, relatives talking about visiting, spouse on your case for an en-suite and a patio... Sometimes you just have to build yourself an extension or... a whole new home. 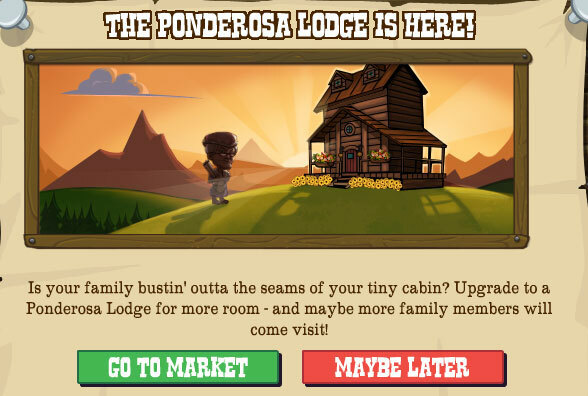 Yes, that's right, it's time to upgrade from that tiny little cabin to something a little more spacious and a lot more fancy, the Ponderosa Lodge! 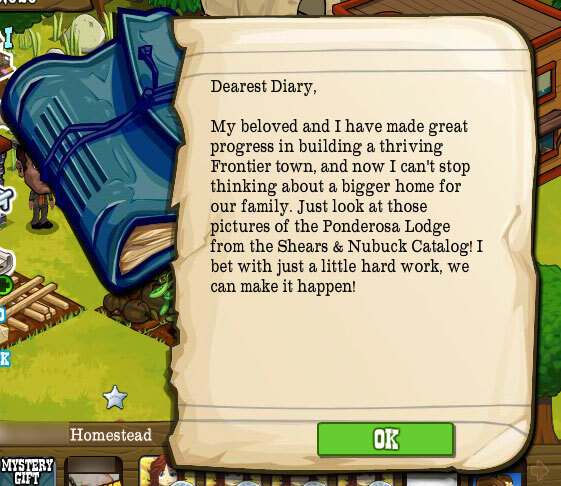 So, what's a hardy pioneer man to do? Simple, build himself a new home! When placed the Lodge costs 1000 coins and 20 wood then takes another 7 whacks at 10 wood apiece. 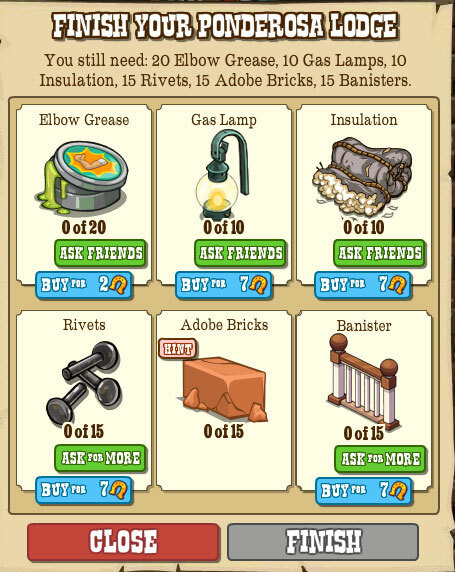 It then requires 20 of that old staple, Elbow Grease, 10 Gas Lamps, Insulation and Rivets (requestable), 15 Banisters (requestable) and 15 Adobe Bricks, which you get for completing Mission IV of the Lodge mission thread. 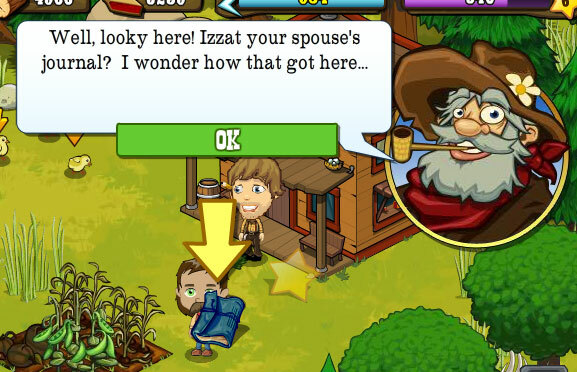 Find yourself all that and you'll soon have a Lodge even your spouse can't complain about! 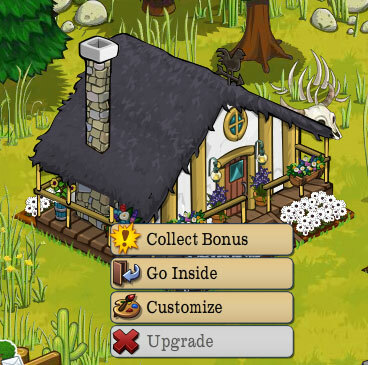 As it's deemed a fancy cabin it'll drop the usual cabin collectibles and have the same crafting options. As you get bigger and better however the chances of items dropping from the Daily Bonus increases. It is bigger than the normal cabin as you can see here using Wheat plots. 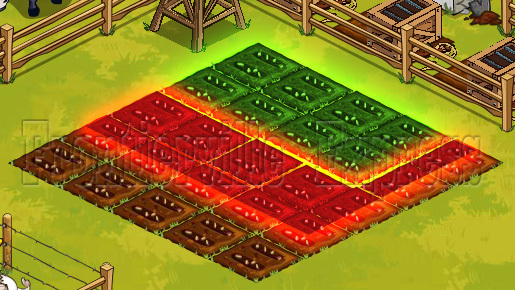 The basic cabin is 3x2 plots (the green area) and the Lodge is 3.5x3.5 plots (the green and red area). What do you think to the new lodge? Come and express yourself at our facebook fanpage!